EverMat Standing Mat 48" x 36"
Offering a denser 100% polyurethane construction but with fewer sizes and color options than our EcoLast Premium Line, this comfortable yet durable standing mat will keep you standing longer, for a fraction of the cost. Just like the EverMat Portable Mats, the EverMat Standing Mat features ¾” thick, 100% polyurethane single-piece construction that will last for years. This formulation is proven to ehance blood circulation, prevent blood pooling in the legs, and reduce foot pain. 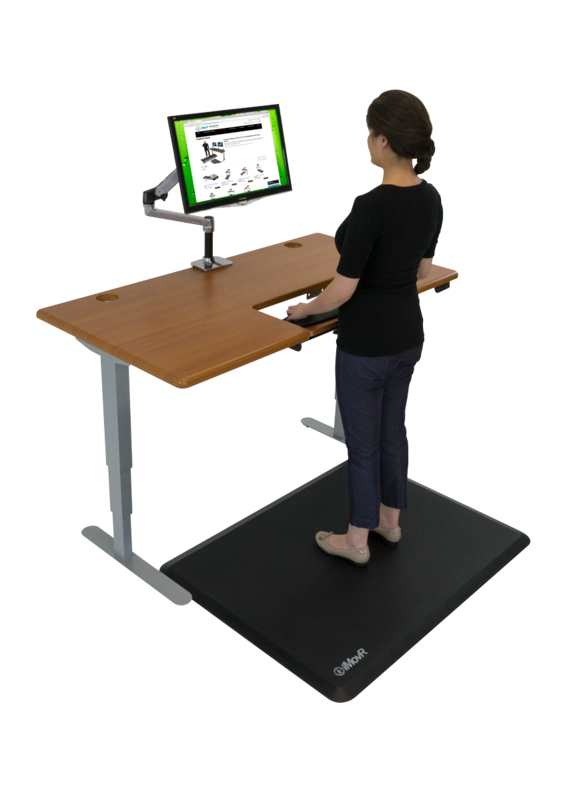 Now you can stand healthier, for longer periods during the day, at a reduced cost. 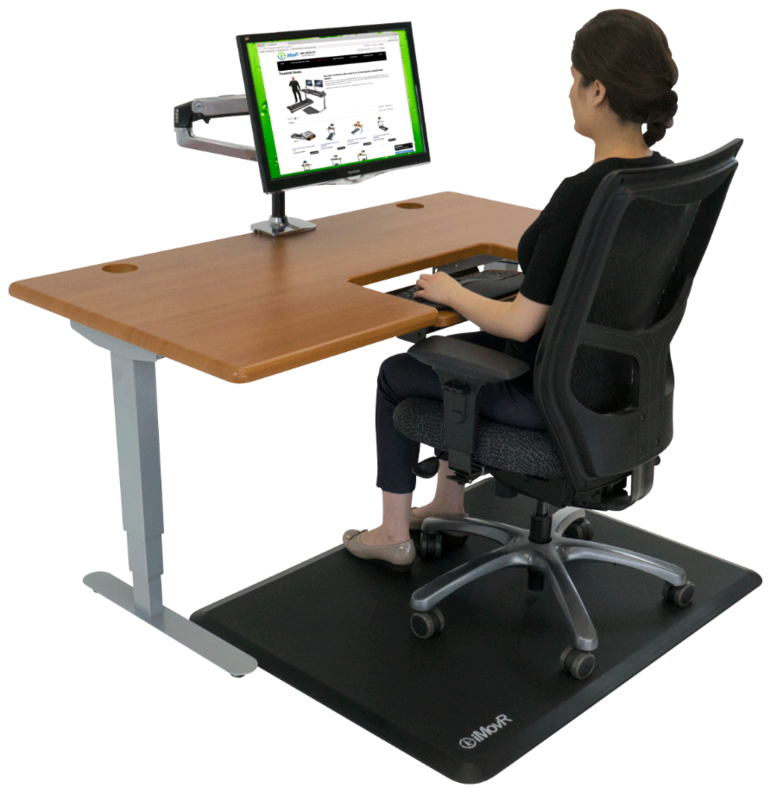 Larger than our EverMat Portable Standing Mats, this 48" x 36" model provides ample space for shifting your weight back-and-forth and accessing different areas of your desk surface. We reduced the mat's footprint by 12 inches to better accomodate a variety of workstations. Position it length-wise or front-to-back to fit your space. This EverMat is spacious and durable enough to withstand a standard office chair, so there's no need reposition your mat every time you switch between sitting and standing. Not only will it protect your carpet and floors, a beveled 20-degree edge makes rolling on and off the mat surface easier. Unlike our EcoLast Premium Mats, the EverMat is manufactured in Asia and has a slightly denser quality to it. It also comes in a limited assortment of colors and sizes. Choose the EcoLast Premium Hybrid Mat if you need a bigger size or a color other than black. EverMat received a 4.5-rating from WorkWhileWalking.com. Read their entire review here. 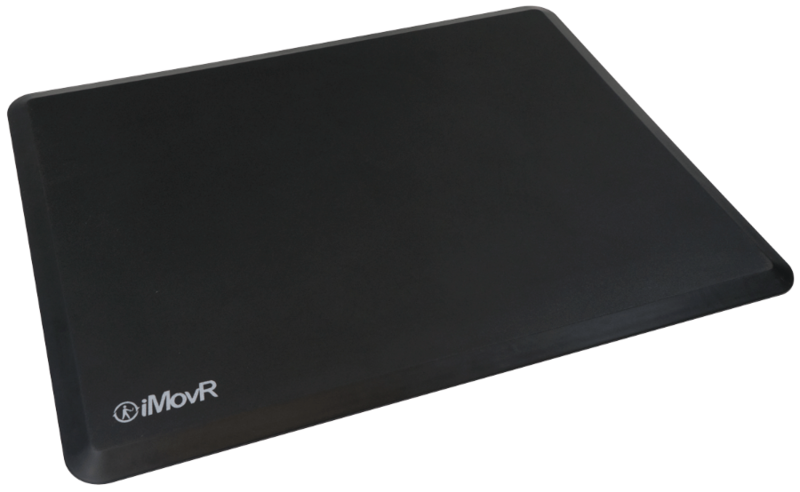 Only iMovR offers a comprehensive 10-year full-performance warranty on its EverMat anti-fatigue mats. Besides normal manufacturer defects, iMovR warrants that all EverMat mats will always lie flat, never delaminate, never compress, and never wear through. If you are not completely satisfied with this product you may return it for a refund or replacement within the first 100 days from the date of delivery. There will be a $15 restocking fee per mat on all returns. Purchaser is responsible for all shipping charges for returns and replacements not attributable to warranted defects or incorrect shipment on iMovR's part. Prior to returning the product, you must email us customercare@imovr.com or call us at 425-999-3550 in order to obtain a RMA (Return Material Authorization).